Wegener received his PhD from Ohio State in 1994. After serving as Assistant Professor of Psychology at Yale University for three years, he joined Purdue University in 1997 as an Associate Professor and was promoted to Professor in 2003. He joined the Ohio State Social Psychology faculty starting in the summer of 2010. Wegener's research focuses on attitudes and persuasion, especially influences on the amount and nature of information processing and the consequences of the resulting attitudes for later thinking and behavior. His research also extends theories of attitudes and persuasion to related domains, such as stereotyping, impression formation, and judgment and decision making. In 2001, he received the American Psychological Association (APA) Early Career Award for distinguished contributions to the science of social psychology. 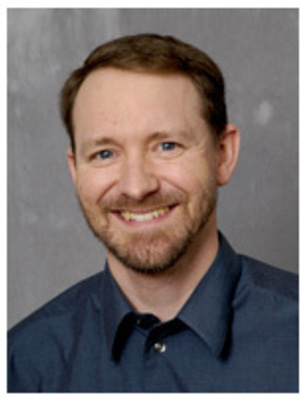 Wegener is a Section Editor for the Social and Personality Psychology Compass, and has been an Associate Editor for Basic and Applied Social Psychology and the Personality and Social Psychology Bulletin. He is also on the Editorial Boards of the Journal of Personality and Social Psychology, Journal of Experimental Social Psychology, and Personality and Social Psychology Bulletin. Areas: attitude change, social cognition, and quantitative methods. Interests: Attitude change/social cognition interests especially address factors that influence the amount and nature of informationprocessing. Specific programs of research have addressed effects of mood and emotion, matching of message content to bases of attitudes, attitude accessibility, attitude ambivalence, and values as influences on information processing. In recent work, message position moderates many of these effects. Related research has also investigated the consequences information processing for persistence of beliefs and attitudes over time and resistance to social influence (including extensions of this work to the areas of judgment and decision making -- especially numerical anchoring -- and stereotyping and prejudice). Much of the research in attitudes and social cognition also focuses on the biases that can be created in people's thoughts and perceptions and on the steps that people sometimes make in attempts to rid their thoughts and perceptions of perceived biases. Writing on the topics of research methods and quantitative (psychometric) methods has included papers on construct validity (including multi-trait, multi-method analyses), factor analysis, and covariance structure modeling. Journals --Social and Personality Psychology Compass - Attitudes and Social Cognition, Section Co-Editor, Jan. 2007 - present; Personality and Social Psychology Bulletin, Associate Editor, Jan. 2000 - Dec. 2001, Guest Editor, 2009; Basic and Applied Social Psychology, Associate Editor, Jan. 2005 - June 2007; Social Cognition, Guest Editor for Special issue on the use of naive theories in social judgment and behavior, with Richard Petty (Spring 1998); Consulting Editor for Personality and Social Psychology Bulletin, Jan. 1998 - Dec. 1999, Jan. 2002 - Dec. 2004, Feb. 2009 - present; Journal of Personality and Social Psychology, Jan. 2002 - present, and Journal of Experimental Social Psychology, Jan. 2003 - present; Ad hoc reviewer for numerous journals, conferences, and granting agencies. Grant panel -- National Science Foundation, Social Psychology Review Panel, Fall 2008 - Spring 2011. SPSP Publications Committee (2009-2011); Initiative Leader/Executive Board Member, Purdue University Energy Center at Discovery Park (Social, Economic, and Political Aspects of Energy Use and Policy, 2006-2010); Co-Organizer, SPSP Attitudes Preconference, with Leandre Fabrigar and Tara MacDonald (2001 -- inaugural meeting, 2002, 2003); Co-Organizer, Purdue-Indiana Meeting on Persuasion Science, with Zak Tormala (2006, 2007); Organizer, Attitudes Cavalcade (AttCav, 2008 - present); SESP Dissertation Award Selection Committee (2001); Social Psychology Area Coordinator, Purdue University (2000-2003). Fabrigar, L. R., Wegener, D. T., MacCallum, R.C., & Strahan, E. J. (1999). Evaluating the use of factor analysis in psychological research. Psychological Methods, 4, 272-299. Blankenship, K. L., & Wegener, D. T. (2008). Opening the mind to close it: Considering a message in light of important values increases message processing and later resistance to change. Journal of Personality and Social Psychology, 94, 196-213. Wegener, D. T., & Kelly, J. R. (2008). Social psychological dimensions of bioenergy development and public acceptance. Bioenergy Research, 1,107-117. Clark, J. K., & Wegener, D. T. (2009). Source entitativity and the elaboration of persuasive messages: The roles of perceived efficacy and message discrepancy. Journal of Personality and Social Psychology, 97, 42-57. Clark, J. K., Wegener, D. T., Briñol, P., & Petty, R. E. (2009). Discovering that the shoe fits: The self-validating role of stereotypes. Psychological Science, 20, 846-852. Wegener, D. T., Petty, R. E., Blankenship, K. L., & Detweiler-Bedell, B. T. (2010). Elaboration and numerical anchoring: Implications of attitude theories for consumer judgment and decision making. Journal of Consumer Psychology, 20, 5-16.